He sure is an absolut adorable little cutie. No wonder you loves this little guy, who wouldn´t? 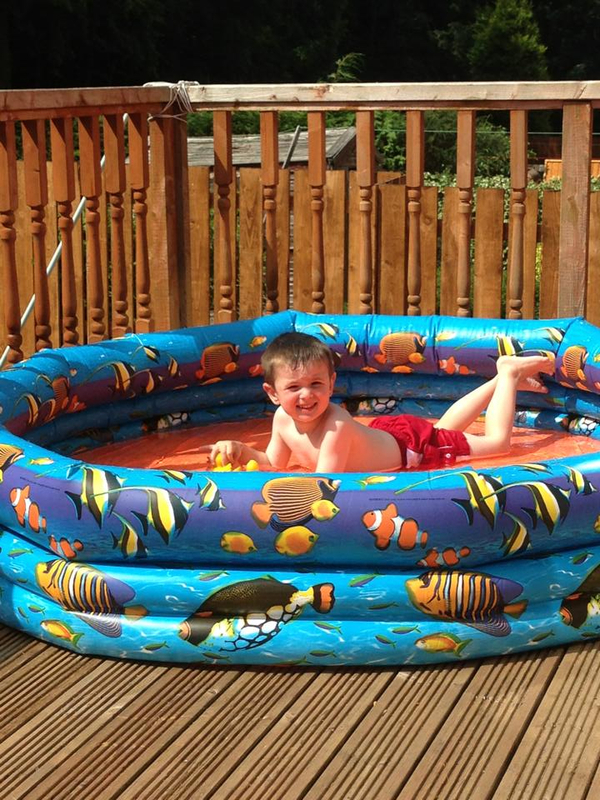 Awww isn't he so adorable, love the paddling pool Natalie bought him, it's massive. He'll have a great time in it. Such a summery wonderful card! I love how you colored the clothes! just fantastic! 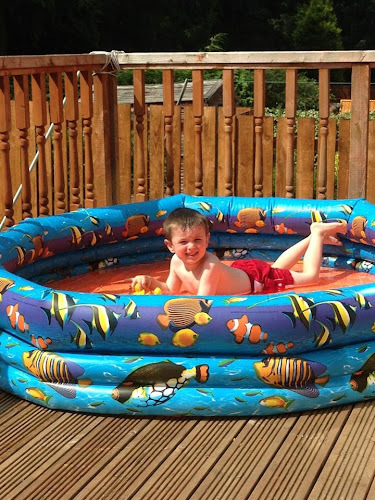 What a cute little boy and I love the paddling pool, looks great!! !